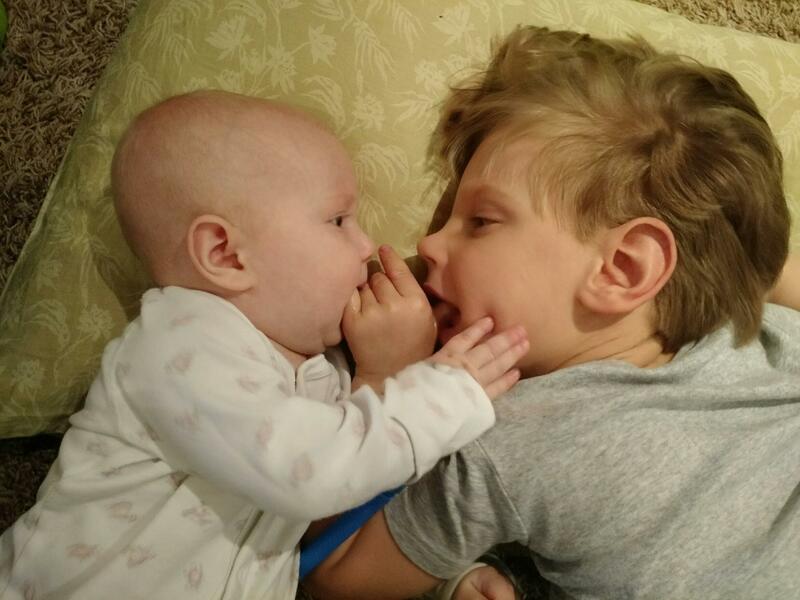 Almost 6 months ago, Jacob assumed his new role as BIG BROTHER! This is a responsibility that he takes very seriously. 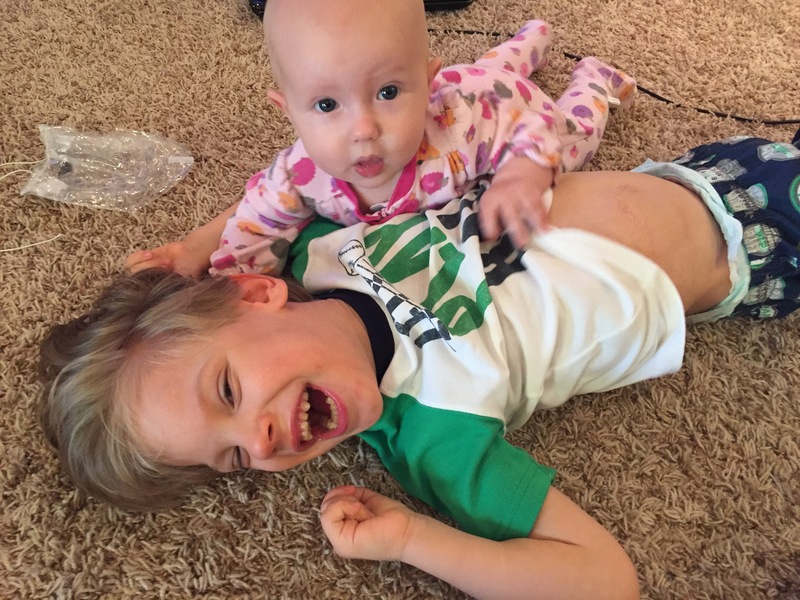 Jacob loves his little sister, Lily, and they are very sweet together. He is very understanding when she cries and he is gentle when she is near. He even lets her crawl on him. He is a very good teacher and demonstrates perfectly how to be full of joy and determination! Lily also motivates Jacob! He does better with his program when she is around and we are confident that when she is moving it will motivate Jacob as well. Jacob has been doing very well with his program lately. 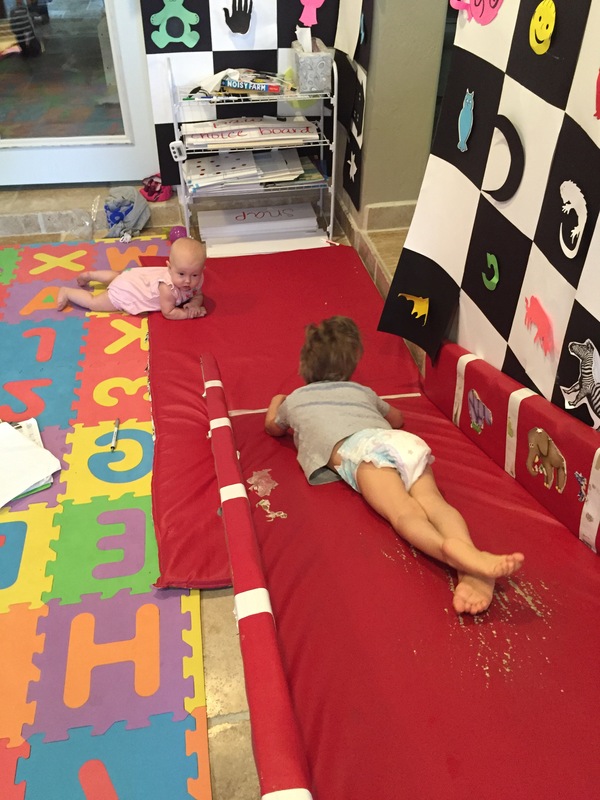 His strength, endurance and coordination have improved and he is now able to crawl down his inclined track many more times than before. He is also cooperating much better with his patterning. Another exciting development is Jacob’s language. Jacob speaks to us more and more and we are getting better at understanding what he is saying. Just the morning he said “all done” after breakfast and last week he said “my turn Lily” when she was demanding attention. Jacob’s use of the letter board has also been a wonderfully helpful improvement. It is amazing to learn what he is thinking and feeling. It also helps to tailor his program to his preferences. He is such a sweet boy and is now even using “please” and “thank you” when he types his answers. What an incredible blessing we have in our sweet Jacob!